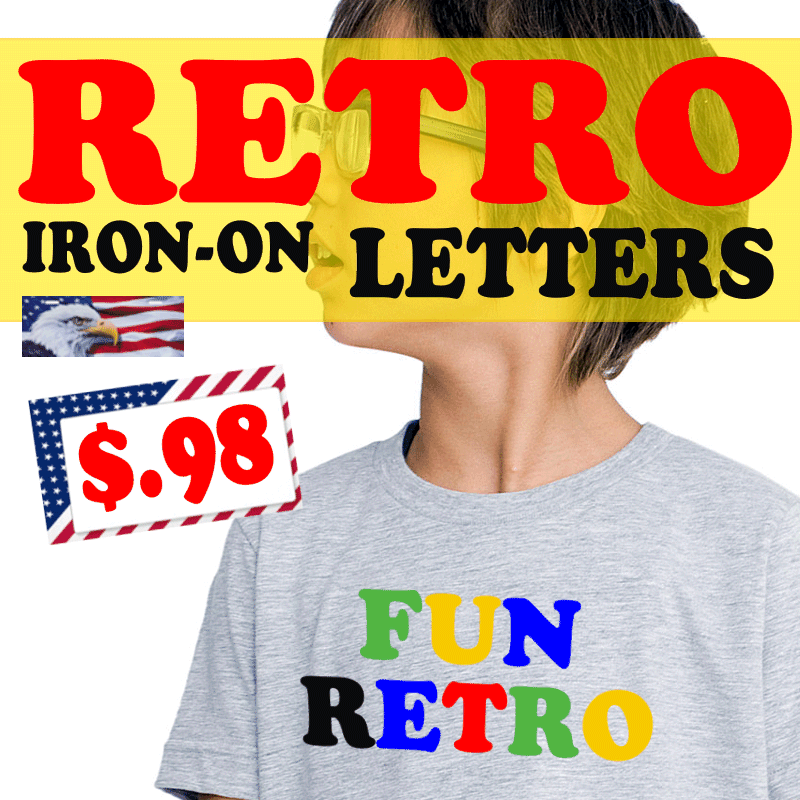 Small RETRO 1 inch Iron-on Letters Uppercase. 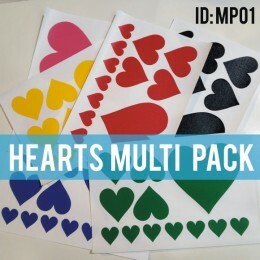 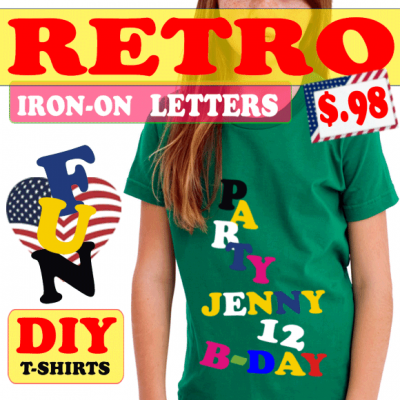 DIY T-Shirts in 7 old school colors. 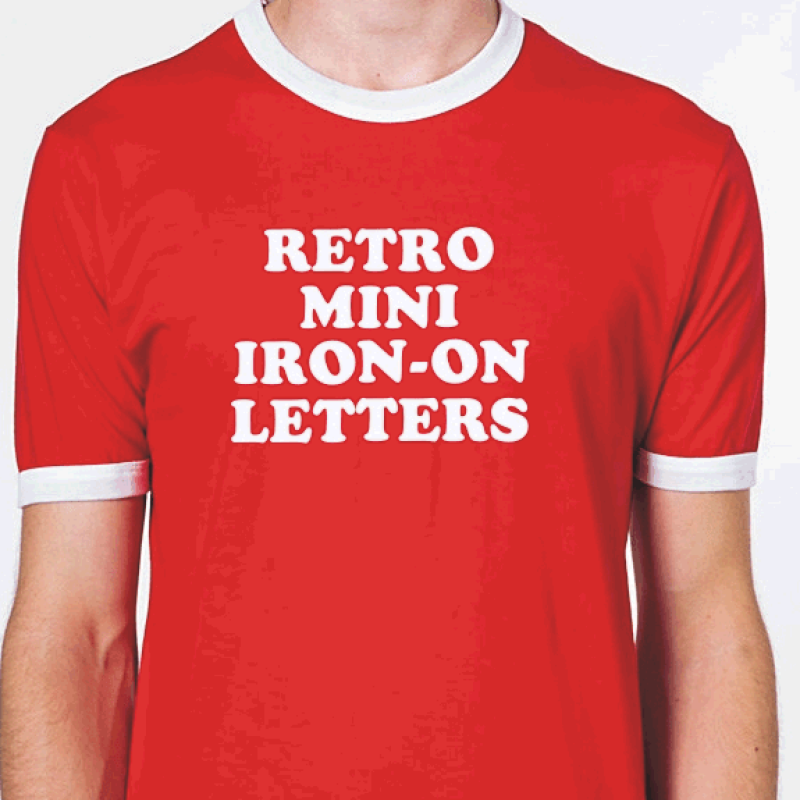 Perfect letter size for printing on t-shirts with a classic vintage retro look. 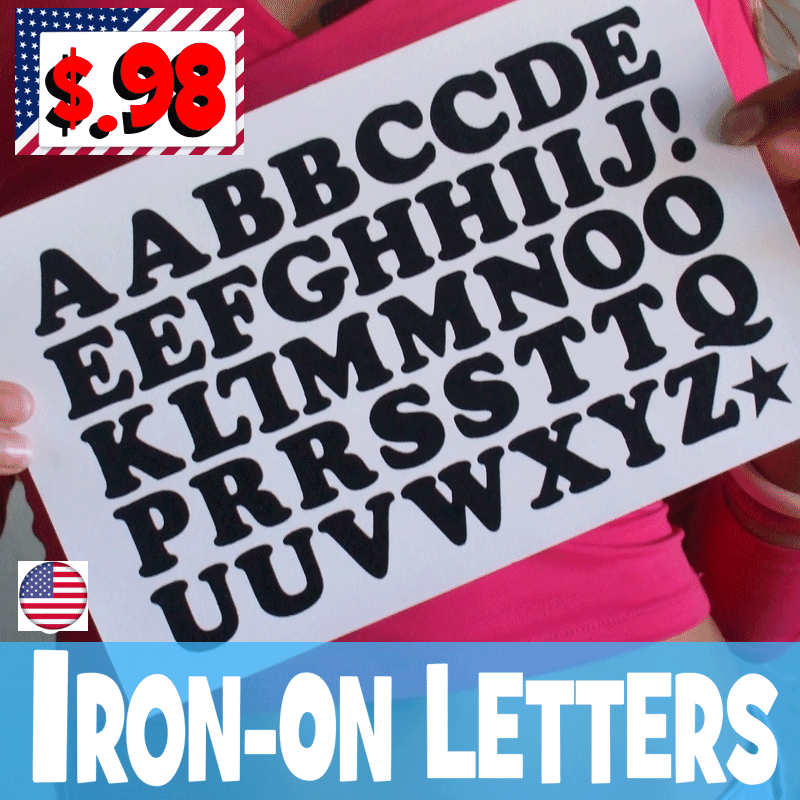 40 Retro Uppercase Iron-on Letters per alphabet sheet, 1 inch (2.5cm) Tall, available in 7 colors: White, Black, Red, Blue, Yellow, Pink and Green. 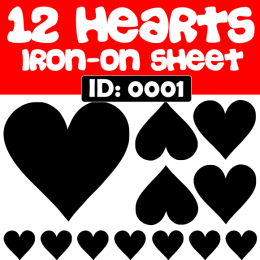 Made the same as the traditional screen printing process. 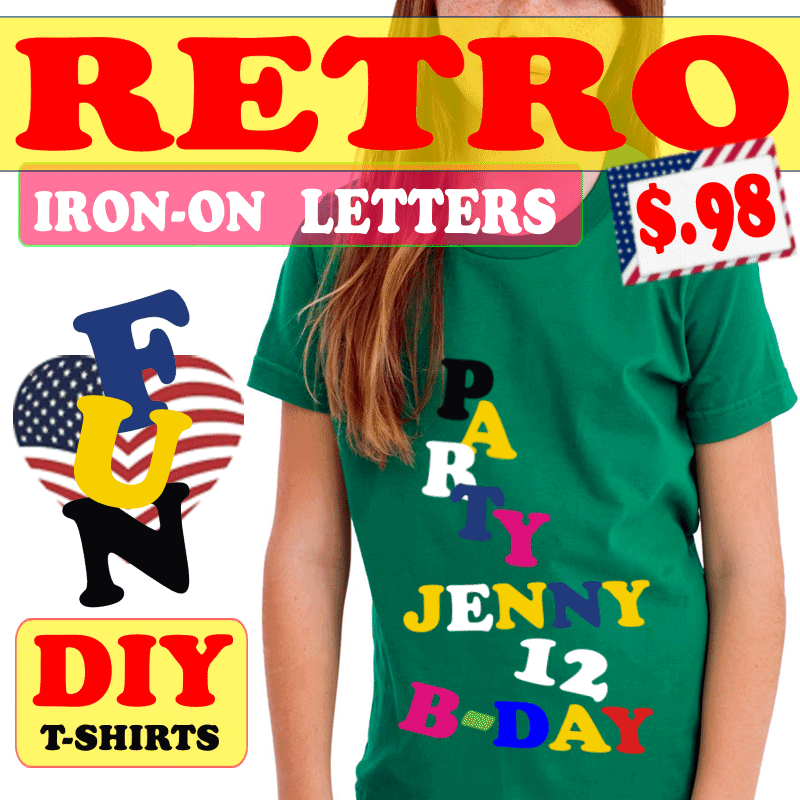 Ideal for do it yourself (DIY) text messages, slogans with a FUN vintage cute twist. 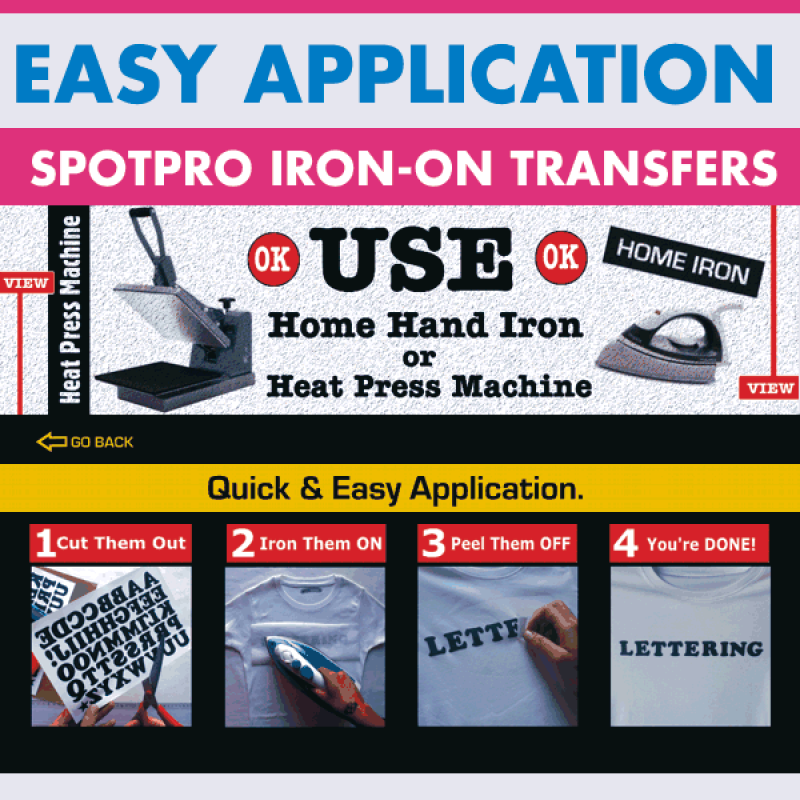 Easy Application with your home iron or heat press machine on your own clothing, no sewing, print on all fabric colors, work well on cotton, polyester and blends, durable, machine washable. 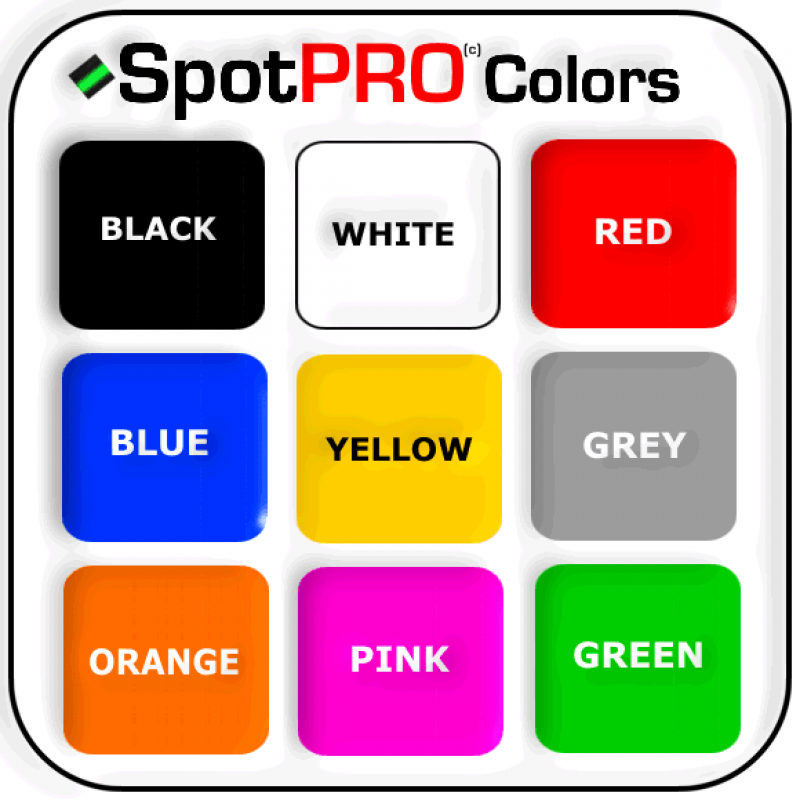 Next day shipping worldwide. 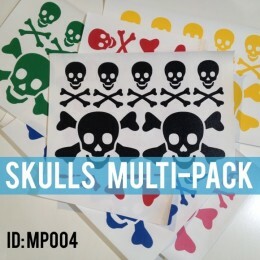 Size 1 Inch (2.5 cm) Tall.